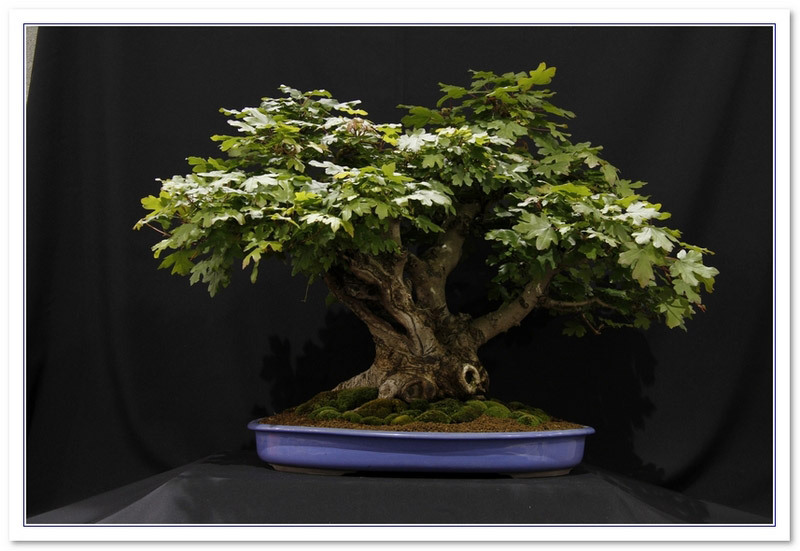 Challenging the Bonsai A to Z entry for Field Maple (Acer Campestre). Small maple variety native to Europe with fresh green, three lobed leaves in spring changing to bright yellow in autumn. REPOT : Every 1-3 years depending on age, in early spring just prior to bud burst. SOIL L Akadama ideal or 40:60 grit:organic mix. PRUNE : Trim new shoots to one or two pairs of leaves during the growing season. PINCH : Defoliate in mid-summer to reduce leaf size. SOIL : Free draining soil such as Akadama. WATER : Daily throughout growing season but infrequently during winter months. FEED : Balanced feed every two weeks during spring/summer. There are 819 entries in the A to Z and the pages have been viewed 3064670 times. Help us to increase the number of relevant bonsai terms included in this A to Z of Bonsai Terms. We include manufacturers and dealers in the dictionary, if you are one or know of one not mentioned then just click the link above and add an entry. If you have a favourite bonsai tree not mentioned just add an entry. We are trying to create a unique single free source for all bonsai terms and hope to capture worldwide bonsai terms for bonsai trees, bonsai clubs associations and national collections and the A to Z is free marketing for bonsai businesses and bonsai clubs.